We can build Business Presentations to help promote your business, these can illustrate conceptual ideas, promote your products or services. These presentations can be basic slideshows like a Powerpoint Presentation or can contain Audio, Video, 3D Animation and Special Effects. They can be linear or interactive using mouse or touchscreen technologies, they can even connect to databases to be updated with products or prices. Ideal for use by your sales team or at Trade Shows and in your businesses reception or waiting area. 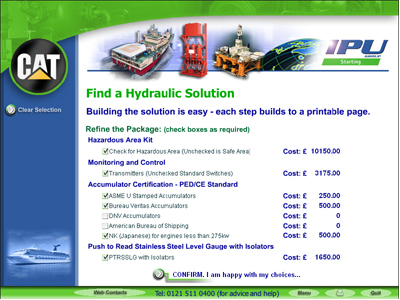 The Industrial Power Units - Quote Building System was delivered on CD Rom and paid for itself within weeks. On starting the CD Rom, users choose between 'Building a Quote' or 'Browsing' the business presentation to find out about IPU Starting Divisions range of Products. On the CD Rom the user is taken step by step through a sequence of choices to build a quote. 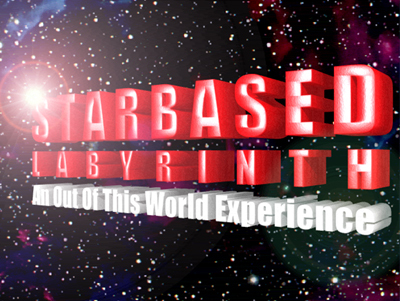 There are over 1,000 possible unique results on the CD Rom, the user can view 3D Models, and then copy and paste a fully costed quote for their requirements to email or Microsoft Word. This medical CD Rom wes developed from storyboards, for Medical Action Communications and covers the placement of 'Stents' into the arteries around the heart using the 'Hunter Guide Wire' for minimally invasive surgery, and is pitched at Harley Street Surgeons. 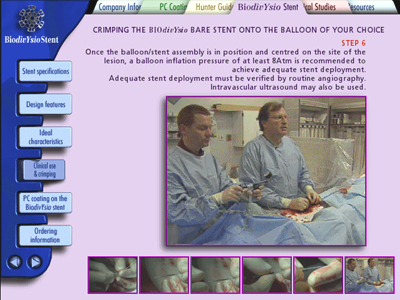 The Medical CD Rom contains video footage of proceedures supplied by the customer, interactive content, and medical case studies. 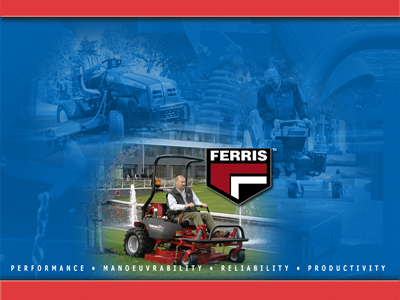 With the IPU Groundcare DVD we were given raw footage of different mowing machines in action, which we edited into a business presentation. 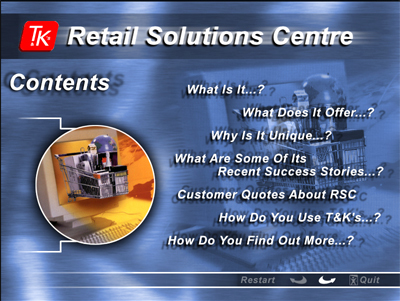 This presentation was built for PriceWaterhouseCoopers Retail Solutions Centre. Outreach project for Havering College, the touch screen presentation is used out in the community to encourage teens to re-enter education. Havering is an area west of London, with social issues that the college and local authority are working together to try to find solutuions for. The 3D animations guide the teams through the maze of tasks, each task is goal orientated and the principles relate directly to the customers day to day business model.